Para sa ating PPCers na sa kusina na ang tambayan (also as suggested by another PPC member). 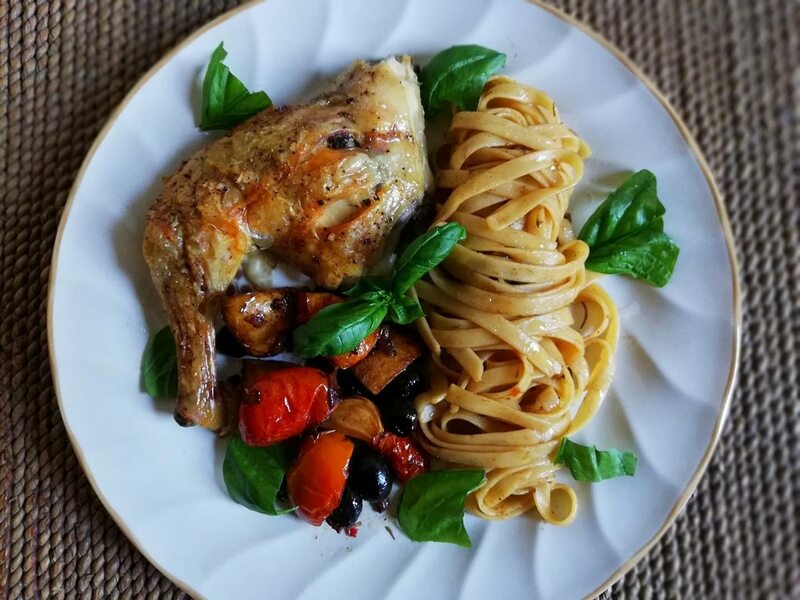 Share your recipes or how a recipe you found went out when you tried it. Tips, tricks, questions are welcome. 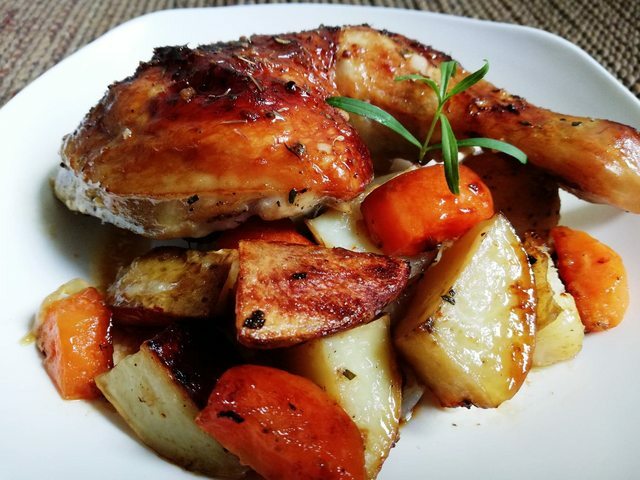 followed this recipe to make my very first roast chicken. but instead of just plain butter, i combined butter, honey and garlic for the glaze, and added minced fresh rosemary to the veggies. i was quite surprised i managed to cook it well, considering it's just my second time to use an oven lol. that's beef, right? lol i haven't tasted beef in years, thanks to my gout. that's why i try different recipes on chicken, fish and veggies for variety. and when my sister recently gave me her rarely used oven, my options suddenly expanded. your beef looks nicely cooked. still a bit pink in the center. learned my lesson in cooking beef, noong una diko pa alam kung paanong mag cook ng steak cut, nasanay tayo dyan sa atin pag nag porkchop kasi fully toasted talaga kala ko ganon din sa beef, ayun nung kinagat ko parang balat ng sapatos sa tigas hehehe. it just takes a few minutes per side or as soon as it turns brownish. halatang namimiss mo pinas kasi kaunti na lang tapsilog na yan. ah. nasubukan mo na with mayo yan? para may ginawa na akong dati na ganyan mayo yung dresssing. ako naman eh sumubok mag bake ng bread for the first time. success naman. 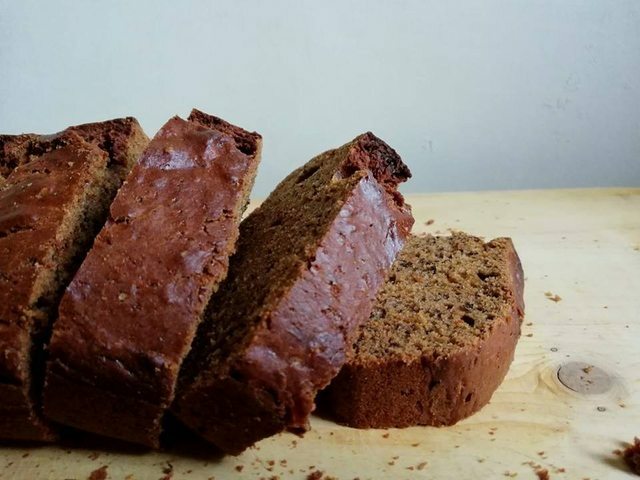 banana bread. di pa nakakatikim si dad so yun ginawa ko. ang ginawa ko lang na iba eh brown sugar ginamit ko, at yung wet ingredients pinagsama sama ko muna sa isang bowl bago ilagay dry ingredients na magkakahalo din sa ibang bowl (flour, sugar baking soda). ayus naman result. ang bango ng kusina. moist at spongy yung loaf. hmm... ang iniisip ko eh choux pastry pero oo nga ano pwede ko na nga palang gawin brownies! pero unahin ko muna matagal ko nang gustong gawin: focaccia, gratin at lasagna. there's this Gordon Ramsay recipe that popped up my YT recommendations. looks easy enough (i have done something similar with a potato and leek soup) and when i googled what watercress is in tagalog it's... kangkong. i dunno if that's accurate but i'll try it just for the heck of it. Chicken piccata. 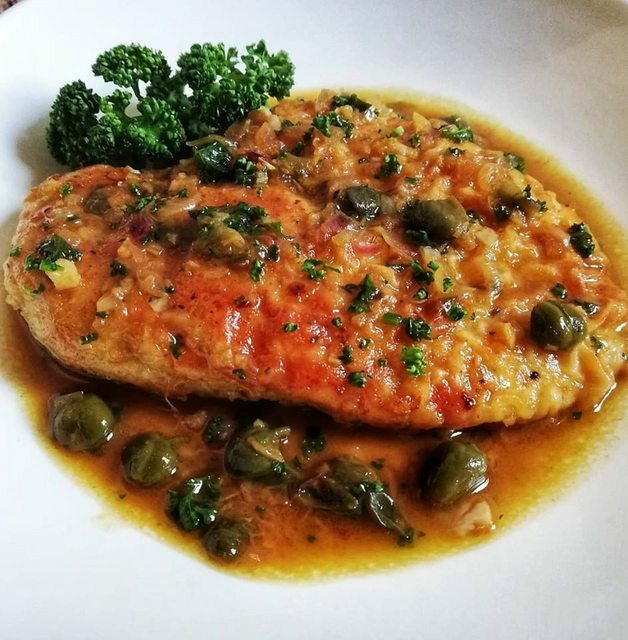 Juicy chicken fillet with a sauce made with garlic, shallot, white wine, capers, lemon, parsley and butter. Tangy with a hint of sweetness. Served with rice and more wine. 1. Butterfly the chicken and flatten with a kitchen mallet or rolling pin. 2. Season with salt and pepper, coat with flour. 3. On a hot pan with some olive oil, fry both sides until golden brown. Remove from pan and set aside. 4. On the same pan on a low heat, put finely chopped shallots, followed by minced garlic. Put about half a cup of white wine (and/or chicken stock). Add capers. Simmer until reduced. 5. Add some lemon juice and butter then stir until butter has melted. Add finely chopped parsley. Return chicken to the pan and heat through. 6. Serve chicken on a plate and top with sauce. Best with pasta or rice. Or both, I suppose. 1. Saute chopped white onions and diced potatoes in pot. 2. When onions turn slightly brown, add chicken pieces, sliced red bell pepper and cubed carrots. 3. Add curry powder and stir. Let cook for a few minutes. 4. Add water/chicken stock (or water plus chicken cube) until ingredients are covered. Let boil and leave to simmer for 20 minutes. 5. 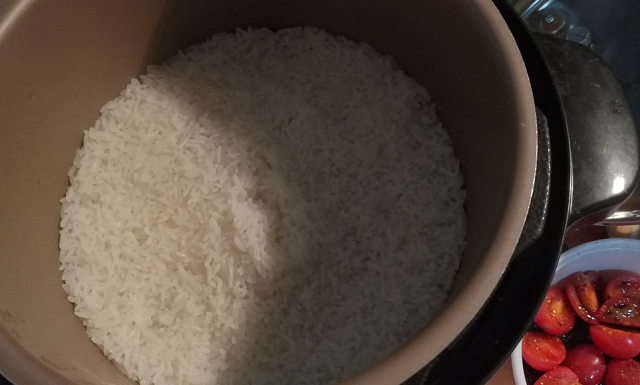 Add coconut milk (not diluted), and bring to a gentle boil. 6. Add siling pangsigang, ginger and garlic paste made by grinding small pieces in a mortar and pestle. Simmer for 10 minutes. Check for seasoning. Add salt and/or ground black pepper if desired. kaya malamang di na ako magkakaroon ng abs. hmm... italian chinese fusion? sounds interesting. makapag research nga. 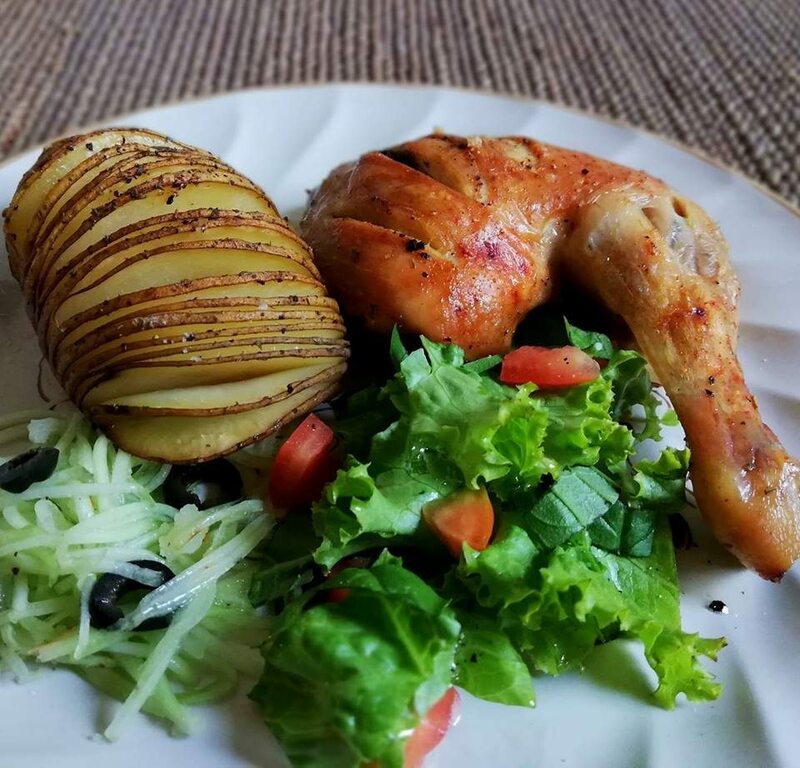 this time with hasselback potato (buti kaya ko pala maghiwa ng ganyang kanipis na slices at di tatagos sa ilalim ng patatas) and salad. fully loaded! 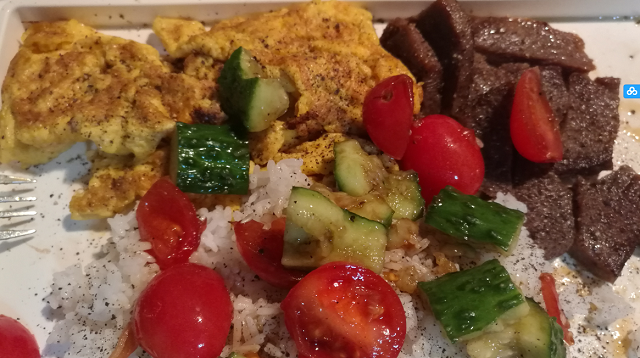 Hey I can cook Filipino dishes too. 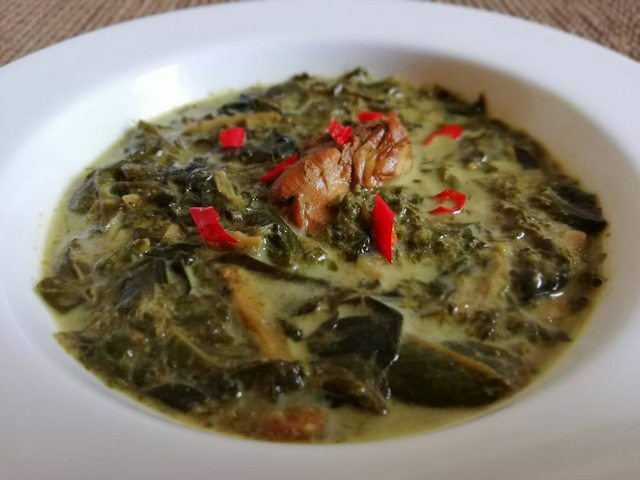 My version of laing (taro leaves cooked in coconut milk). I have never cooked laing before, but my dad does on occasion and it was a hit or miss. Sometimes the leaves were soft and delicate but other times were tough and chewey. So I volunteered to cook it this time. 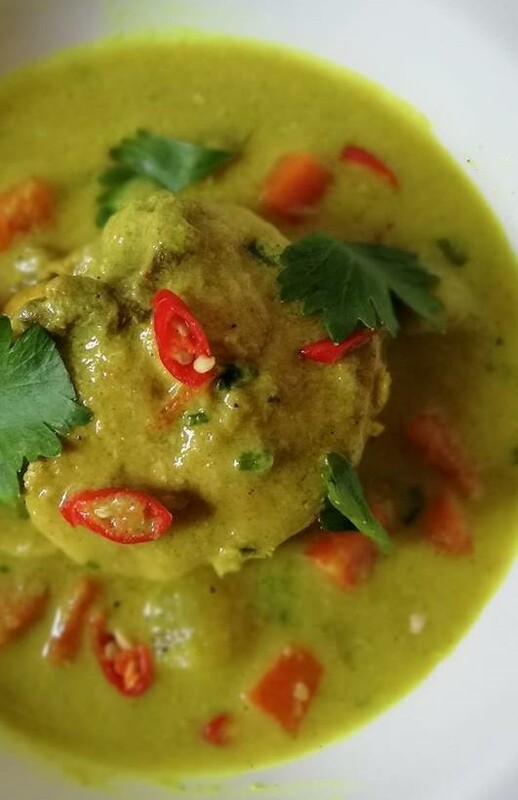 I read up some recipes over the internet that calls for the leaves to be cooked in the coconut milk right away, which i thought was a bad idea because the coconut milk might all be absorbed in the leaves before they have softened or that the milk might curdle. I decided to saute garlic, onion and ginger first along with chicken meat then added a bit of water to deglaze the pot, then added the leaves. 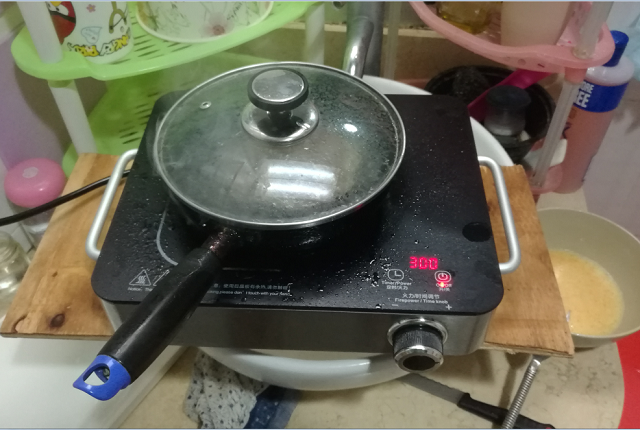 I then put enough water to reach around half the level of the leaves, covered the pot and let it simmer for around 30 mins, which resulted in the leaves going soft. I then added the coconut milk and chilli and let it simmer for around 15 mins more. Finally, i added ground up garlic and ginger to refresh the flavor. It may not be the traditional way of cooking laing, but i find my method harder to mess up. And dad smothered his rice with laing and ate his meal with much enthusiasm, which means be liked it and that is what matters to me.